University of California President Janet Napolitano published a statement on Thursday in response to President Trump’s executive order on campus free speech. Napolitano called the executive order “unnecessary” in the statement and made the case that the University of California already upholds, and even celebrates, the First Amendment. “Taxpayer dollars should not subsidize anti-First amendment institutions, and that’s exactly what they are,” Trump said before the signing of the executive order. “Universities that want taxpayer dollars should promote free speech, not silence free speech…If a college or a university does not allow you to speak, we will not give them money, it’s very simple,” Trump said. Napolitano hit back at Trump, arguing that the University of California is “ground zero” for the free expression on campus. We do not need the federal government to mandate what already exists: our longstanding, unequivocal support for freedom of expression. That tradition is alive and thriving on all of our campuses. This executive order will only muddle policies surrounding free speech, while doing nothing to further the aim of the First Amendment. 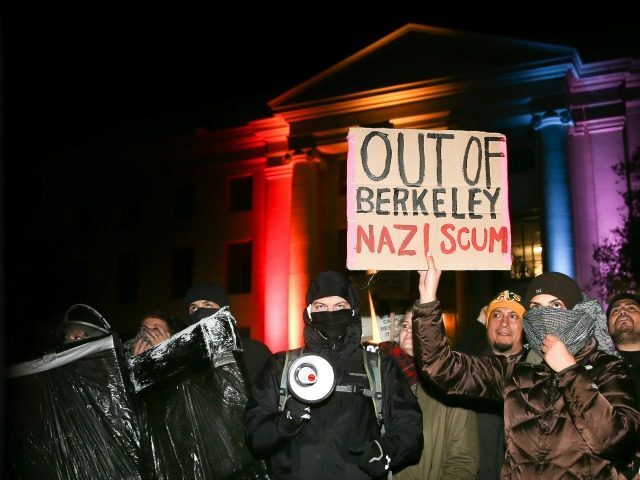 UC Berkeley’s recent history reflects a commitment to making it difficult for conservative students to host events on campus. In December, UC Berkeley settled a lawsuit with a conservative group who alleged that the university effectively censored a lecture by Ann Coulter, The university claimed at the time that the cost of security for the event was too high to allow it to proceed as scheduled. As part of the settlement, UC Berkeley agreed to pay $70,000 to the conservative student group for their legal fees. More significantly, they agreed to adopt a new policy that would allegedly protect the students’ right to host events on campus.